Monday’s Money Saving Tips: Getting Money on the black market in Yangon, Myanmar. 2. If I’m pushed for time and in an emergency, I check a few places quickly and pick the one with the best rate. 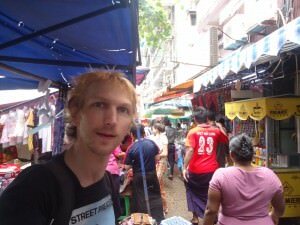 Backpacking in Yangon, Myanmar looking for a cheap money exchange on the black market! 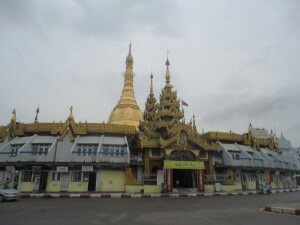 Recently while backpacking in Yangon, I noticed that there are not really many banks or renowned money changing places about, so you have to look elsewhere to get your money changed. Yes, there are a few banks, and even a Western Union in Yangon but they won’t be the best rate and their opening hours are dire!! 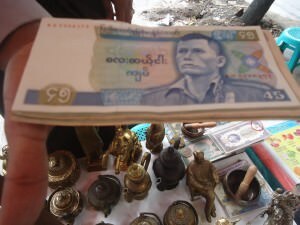 Your best bet, if you play things safely is to change your money on the black market in Yangon. Plus ATMs are a no go in most of Myanmar so take a load of US Dollars into the country and change them as you need them. Apparently there are an increased number of ATMs creeping up and Visa/Mastercard are making their way in, but don’t bank on it (pun intended). 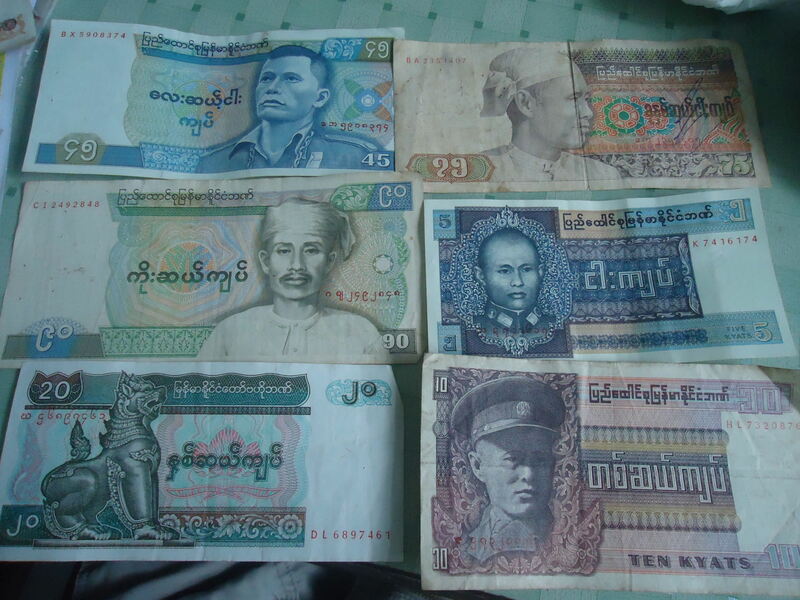 Some of Myanmar’s crazyish numbered banknotes such as the 45 and 90 Kyat notes – no longer in existence. Money is a tricky subject in Myanmar, as the government have changed their banknotes that many times over the years that at times the money became worthless, meaning you can still pick up a 25, 35 and 45 Kyat banknote, but you won’t be able to use them. Even a 90 Kyat banknote exists. Myanmar people invest their money in gold, properties and the like. They don’t see much benefit in putting a large sum of money in a bank for this very reason. It’s an odd trait in this country, yet it means that in essence, the value of money is rather “meaningless” in itself. Life and happiness is more important. A potential post for the future for sure. Walk around the streets near the Sule Pagoda and you’ll be approached by a load of guys with wads of cash in their hands. Assuming you don’t look Myanmarese that is! These are the black market guys. Play your cards right and you’ll score a great deal with them. Be careful and act cool and casual. Don’t show them how much money you have. Apparently some of them will dart with it, leaving you with less cash than you expected. Start by asking how much for $5 US. They’ll probably tell you 5,000 Kyat. This is already a better deal than any money changers, travel agents, banks or hostels. Then you’ll notice as you go higher in US Dollars, they’ll raise the stakes and get you a top top deal. I parted with a few $20 US Dollar notes and came away with an exchange rate of 1,200 Kyat for every $1 US Dollar. 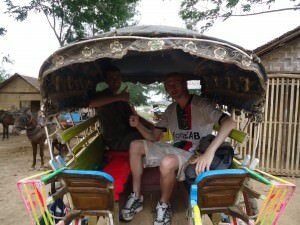 I met a couple from the Basque Country who managed to get an exchange rate of 1,400 Kyat for every $1 US Dollar!! They traded a couple of hundred dollar notes, and were on a three week trip. Compare that to the exchange rate you’ll get in the hostels and bureau de changes and you’re laughing. Honestly I once got 965 Kyat for every $1 US Dollar, until I learned this trick! But please do be careful – some of these guys are not genuine and it can be corrupt. Make sure you don’t part with a load of cash without checking. And like most things on your travels, travel in numbers and with a group. These black market guys can also be found in other parts of Yangon. But not in other cities in Myanmar. So that’s my tip. Head down to the Sule Pagoda, bargain with these guys and get your money, and make sure you carry fresh, crisp US Dollar bills – dodgy ripped, old and stained ones will not be accepted. Good luck! Head to the Sule Pagoda in Yangon to get your money changed on the black market! 1. At the airport. DON’T do this. The exchange rate is sky high. If you have to – get a small amount of your money changed here. Only in emergency. 2. At your hostel/hotel. TRY NOT TO DO THIS. The exchange rate will be very high – it’s an easy way for them to make extra money. 3. In banks. They will offer a better rate than the hostel or airport, but still sky high. 4. In other cities other than Yangon. For some reason Yangon is the best place to get this done. So get your money changed in Yangon before you traipse round this magical country! 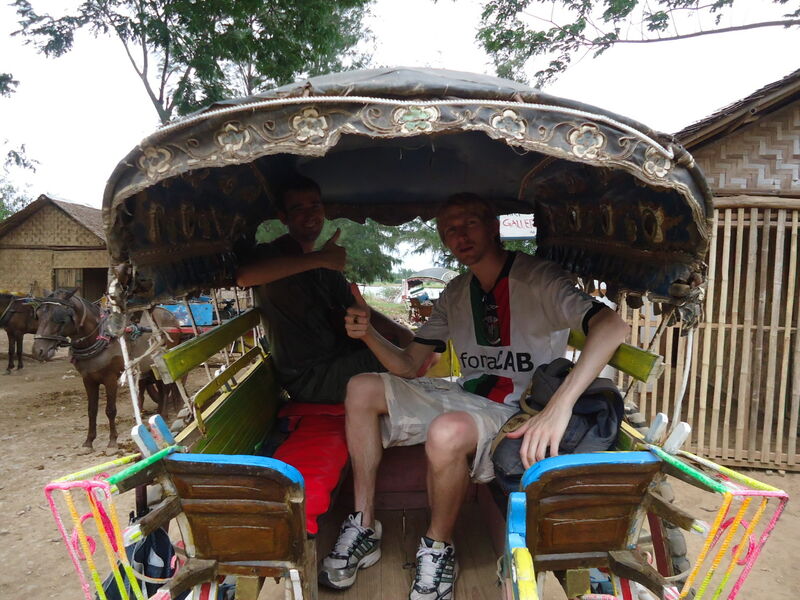 On the back of a horse and cart at Inwa in Myanmar. This entry was posted in Amarapura, Asia, Daily Features, Destinations, Monday's Money Saving Tips, Myanmar. Bookmark the permalink. Got to say you had me with the title of this post – no way could I pass up reading this one.